Bernie Sanders and Hillary discussed marijuana legalisation and they agree that it’s time that the war on drugs was over. Just a few days ago, Bernie Sanders and Hillary Clinton answered the question of marijuana legalisation in a CNN interview. Although the two top candidates have a difference of opinion on the matter of legalisation, they agree that it´s time that the war on drugs was over. They both agree that it´s time to stop imprisoning people for the non-violent offense of using marijuana, but Clinton still isn´t ready to say yes to legalisation. Vermont Senator Bernie Sanders, who is the leader of the liberal left party, admitted to CNN that his answer to recreational legalisation is yes. 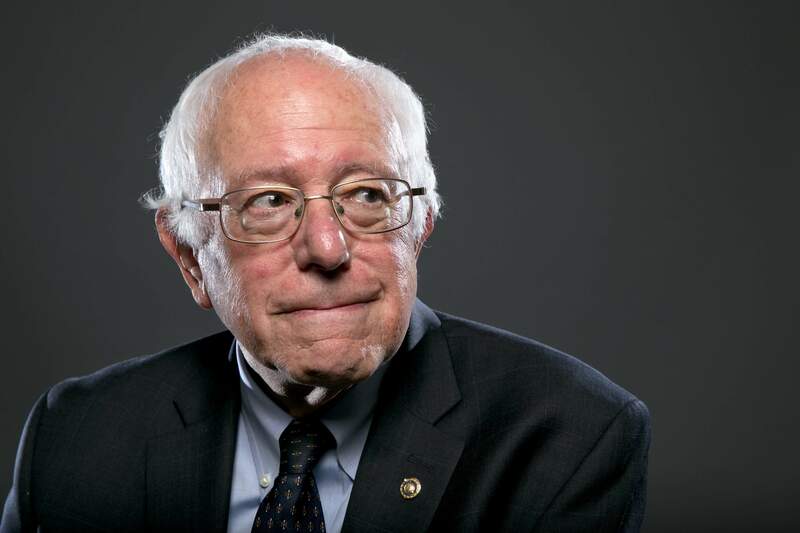 Without hesitation, Sanders admits that it´s about time the war on drugs came to an end. It´s clear that Sanders´main concern is the amount of young people in jail over the use of marijuana, and he doesn´t believe the consequences of recreational legalisation are detrimental. “We have a criminal justice system that lets criminals on Wall Street walk away, while we are imprisoning young people who are smoking marijuana. We need to rethink our criminal justice system” said Bernie Sanders in his interview on CNN. When Hillary Clinton was asked about whether or not she was ready to take a position on the question of marijuana legalisation, she said no. She said she wasn´t yet ready to make a decision because the evidence was not substantial enough. Although, more information is available today because of legalisation through other state governments. She said that this legalisation occurring in other states is an opportunity for more research to be done before she gives her definite position on the matter. However, Clinton did admit that the USA needs to decrease the population that is in prison because of the use of marijuana. She says that this issue needs to be addressed both in the state and federally, because there are too many people in jail for this non-violent offence. Clinton does, however, agree with the legalisation of medical marijuana. It seems that both Sanders and Clinton have confirmed something the American population has known for a long time: that the consequences of the war on drugs are far more detrimental than the legalisation of recreational marijuana. Even though Clinton doesn’t agree with recreational legalisation, she agrees that too many young people are in jail for use of marijuana. This is a turning point for American politics and prohibition. It is finally coming to the surface that the war on drugs is not working, and American politicians are jumping off the bandwagon. Up until now, the American government has believed that putting people in jail solves the problem of drugs. And up until now, they have failed to acknowledge the dire consequences this has on society. However, this CNN interview with the top two Nevada candidates shows that the attitude among politicians is changing. When Clinton and Sanders answer the question of marijuana legalisation, it is another win for the growing marijuana industry.